"Our ability to generate stats has gotten way ahead of our ability to make any sense of it… it's going to take a lot of work by people like Mr. Kaplan before we understand what all this means." See the CNN/Fn transcript . See the Today Show interview transcript . See an LA Times Article . 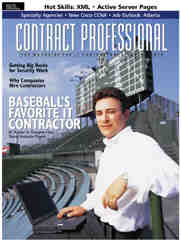 See a Baseball America Article. See an 1997 Trenton Times Article on Ari's Alumni of the Decade Award. See a 1991 Trenton Times Article.